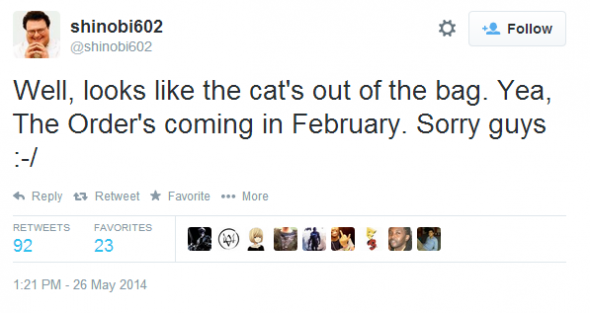 Industry “insider” and legendary NeoGaf contributor Shinobi602 has revealed via his Twitter feed that The Order: 1886 will be released in February 2015, not 2014 as has been previously reported. Update: Sony’s European blog has confirmed that The Order: 1886 will indeed be released in 2015. Of course, at this point the news is only a rumor. Presumably, the official release date will be announced at Sony’s press conference at this years E3. Just last week, Sony revealed the first look at gameplay and, from the looks of things, development seems to be moving along nicely.